These are the words of a prominent US/British businessman now on the Interpol wanted list that President Vladimir Putin himself is understood to have sanctioned. Bill Browder, who has led a successful international campaign over the killing of the jailed Moscow lawyer, Sergei Magnitsky has seen a number of countries around the world adopt the Magnitsky Act. The Act targets officials “who have committed gross violations” of human rights. Canada went with it and the move infuriated Putin, who accused Canada of playing “unconstructive political games” and then used a legal loophole to get Browder on Interpol’s list. Most importantly though – Browder’s statement is telling. There are the words of George Papadopoulos, a 30-year-old foreign policy adviser for the Trump campaign who was arrested by the FBI four months ago. He lied about a series of meetings with a man the FBI described as “a professor based in London”, who turned out to be someone quite the opposite. What Papadopoulos meant when he referred to ‘speaking more openly’ – is access to British ministers. This is Ben Nimmo of the Atlantic Council think-tank, asked to testify before the senate intelligence committee last week, who says evidence of Russian interference online is now “incontrovertible”. What do Browder, Papadopoulos and Nimmo’s comments all mean? Where is this leading to? And is all this just one fantastical conspiracy theory designed simply to obfuscate what is really going on? The Guardian’s story of November 4th entitled “Brexit, the Ministers, the Professor and the Spy: How Russia Pulls Strings in the UK” is a Smorgesbourg, a taster if you like, of the scandals heading our way in Britain in the months ahead of us. Hold tight ….. this reads like a fictional James Bond thriller, but believe me, what you read here is a matter of fact that should shock any normal person, even in these disturbing times. Slowing emerging from the dark depths of geo-political power-playing is a truly shadowy global operation who have unwittingly left a trail of clues, something like a complicated puzzle, with lots of dots to connect, where a fair bit of informed speculation helps to fill the missing pieces – for now. It is increasingly looking like both Brexit and the campaign to get Donald trump into the Whitehouse was a pre-ordained decision from an ultra wealthy cabal, not democracy in action. There is a common link though and it keeps coming up the deeper one burrows into this remarkable adventure of geo-political power-playing. The current head of MI6 Alex Younger said just a few months back that – “The connectivity that is the heart of globalisation can be exploited by states with hostile intent to further their aims. The risks at stake are profound and represent a fundamental threat to our sovereignty.” Younger was right on more one account and seemingly powerless to do anything about it. The story starts in the City of London where Russian oligarchs and a network of fake UK companies fronted by fake or “nominee” directors launder tens of £billions. And for the sake of clarity, it takes 11 days, 13 hours, 46 minutes, and 40 seconds to count second by second to one million and over thirty years to count to a billion. And yet, over £100 hundred billion has been laundered in London for Russian oligarchs … that we know of. Those familiar with this murky and nebulous world say managing such a large scale money laundering operation such as this could only function with support from the very top. I’ve spoken with some seniors in the banking industry, particularly in Special Investigations Units dealing with fraud and money laundering. They say the same, that it’s not just the sanction of the very highest in financial services but also, crucially, in the corridors of power that allows for such large scale operations to go unhindered. It stands to reason doesn’t it. How could the professional enablers such as bankers, lawyers, accountants and property dealers, get away with such enormous crimes, on so many occasions and never, ever get caught. But what is slowly unravelling is this. In the past, I have simply not supported the idea that somehow Russia had managed to subvert democracy in the USA and UK. How could that really be possible? I thought this story was the continued musings of an unaccountable, out of control and paranoid state of mind of the security services who were feeding their usual nonsense to an obedient mainstream media. I am now more persuaded as growing evidence suggests it. Yes, it is becoming more clear that the Russians were involved. Yes, both Brexit and Trump’s election was probably influenced by Russia, but influencing is different to controlling. These political results came about through a body of extremely powerful people, following the money. These were the prominent members of government, the military and of course, foreign billionaires who are all involved in the secret manipulation of government policy, in this case the outcome of a pivotal referendum. Nowadays, the mainstream media like to assign the term ‘Deep State’ to the activities of those not accountable, but actually in power. The City of London, is of course the conduit to this enormous crime against the nation state, against the basic principles of democracy. It is the lubricant to the entire machine. But in todays world of technology, everything done leaves a little crumb trail somewhere, a signature if you like, and the fog is gradually clearing. In Britain, democracy is something that the politician’s and their corporate paymasters have had to accommodate rather than embrace since the days of Thatcher, but nowadays that tolerance has come to an end. 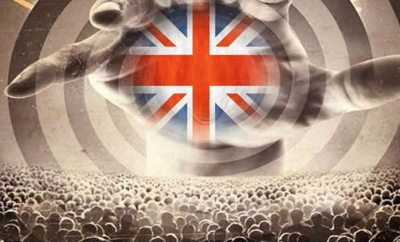 In our article of last May entitled “Brexit: Proof The EU Referendum Was Rigged” we focused on how a British company with strong connections to the military used psychological warfare strategies against the British public to win the EU referendum in Britain. We also focused on several American billionaires, the Goliath’s of tech who were also deeply involved. We have since learned that social media and search engines were definitely involved. And we now know for sure that there was the illegal use of personal data that went far beyond the jurisdiction of UK election and referendum laws. As if electoral laws simply didn’t exist. We have also learned that illegal coordinated campaigns between rival political parties to secure Brexit, and huge sums of money poured into database collections where financial limitations and regulations enshrined into British law to protect democracy were completely disregarded. And although the Electoral Commission and Police are investigating, no-one will be arrested. Mark my words on that one. However, what we are finding out now is mounting evidence of Russian influence in the Brexit referendum. That influence is still not fully clear. However, this is not evidence that shows a rogue state acting on its own – it appears from what is bubbling to the surface that there is some collusion between British ‘influencers’ and those at the very top of Russian political circles. If that statement is true, why is a normal capital city in a democratic nation state now a nest of spies and espionage? The Observer now claims to have documented evidence of Russian links right at the heart of the British government. By adding this information, to the aforementioned we can conclude that not only was the EU referendum fixed, but it was fixed with the assistance of outsiders who have no legal business in the domestic affairs of Britain. If true, this is a political scandal like no other in British history. It has the potential to lead to a reasonable assumption that democracy in Britain is now simply an illusion. I have been saying since the Snowden revelations from 2013 that Britain has been moving in one political direction. Today, it looks like we have arrived. From this point we can forget Theresa May, forget Corbyn, left, right, whatever. This is now a formally democratic government that now functions as a de facto autocracy. Some of the wheels from this Brexit cart have fallen off though and at the moment we are not quite sure who is driving it. However, it is a government that is legitimised by elections that gives the appearance of being free and fair but where the result was known in advance. In my article “The Link Between Brexit And The US Election, MI6, Fake News And Dark Money” back in April, we were already connecting dots weeks before The Guardian or Observer started publishing the same story. The connected dots linked individuals and organisations, which we named, to an ambitious plan to ensure Britain voted to leave the European Union. From here, unless something politically dramatic happens, the public’s ability to change the state’s policies, motives, and goals through democratic principles no longer exists. A current MP in the South East, a former Foreign Office Minister, Boris Johnson and Nigel Farage are all interlinked, along with Arron Banks, co-founder of the Leave.EU campaign. Amongst all of this was last weeks surprise announcement from the Electoral Commission of an inquiry into “the true source of donations” to Leave campaigners, which is focused on Arron Banks – the main donor behind Farage’s fringe Leave.EU campaign. Then we find another character batting on the dark side of Brexit campaigning, the involvement of Matthew Elliot, founder of right-wing pressure group, The Taxpayers Alliance and head of VoteLeave. Elliot is accused by The Guardian of having connections with Russian spy Sergey Nalobin, who has since been evicted from Britain for some sort of involvement in the death of Alexander Litvinenko. Rifkind was the mouthpiece of GCHQ, MI5 and MI6. You don’t get much closer to the heart of the government or the deep establishment than that and you would have thought that Rifkind would not have got anywhere close to such people. But he did. But the Conservative Friends of Russia was not what it seemed, and nor was Nalobin. A series of reports by the Guardian’s Luke Harding and others revealed that Nalobin was intimately connected to the FSB, the Russian security services – and that the Conservative Friends of Russia was a Moscow influence operation. Matthew Elliott has never made his association with the Conservative Friends of Russia public but according to the Guardian article, Elliott went on a 10-day trip to Moscow with all expenses paid by the Russian government. Elliott has since declined to answer any questions from the Observer about his relationship with Nalobin or Conservative Friends of Russia. He declined also to explain the nature of the political work he claims to have done in Ukraine. To complicate matters, Elliot has also joined the Legatum Institute, an influential think tank to focus on a future trading relationship between the US and the UK. Legatum is funded by billionaire Christopher Chandler and it is known that he has unrivaled access to Brexit MPs. Chandler has made a fortune from so-called disaster capitalism – taking advantage in countries either politically or economically destabilised. What is this foreign national doing by meddling in Britain’s future one wonders. The aforementioned Arron Banks has another point to answer. He brags about his Russian contacts, describing how he met a man called “Oleg” at a Ukip conference who was introduced as the first secretary at the Russian embassy – in other words, the KGB’s man in London.” Oleg then introduced him to a figure now of significant interest to the FBI – Alexander Yakovenko, the Russian ambassador to London. Banks is also married to Katya, a Russian national. You can start to see now what is going on even if you don’t understand it. You can also see that there’s no-one really at the helm of HMS Britannica because it wasn’t designed to be a stable ship in the first place. David Cameron and the so-called big beasts of the Tory party simply gave the opportunity to those with big money – now called ‘dark money’ to manipulate democracy in their favour. Theresa May remains unchallenged because deep down, the Tories know something else much bigger is going on in the shadows. In the meantime, distracted by the chaos, trade deals will be done in favour of the corporate giants and billionaires, civil society protections will be cast aside. People like Liam Fox with links to Atlantic Bridge (Malcolm Rifkind too), the now defunct Neo-Con club with unbelievable transatlantic reach are using their contacts to ensure the plan stays on track. But Fox is being hunted by the big hitters of the civil society and human rights organisations because they know that to follow him, is to follow the money. In summary: We have allowed Russian Oligarchs to deposit billions in Britain. Mass money laundering operations were given political and financial sanction and protection from the very top. We see cabinet ministers rubbing shoulders with foreign billionaires with an eye on Brexit. Then we see political parties and pressure groups illegally merging, referendum expenditure rules disregarded as huge campaigns were driven using known military strategies against a civilian population to marginally swing the referendum result. Because much of these activities were illegal the City of London became the financial enablers.